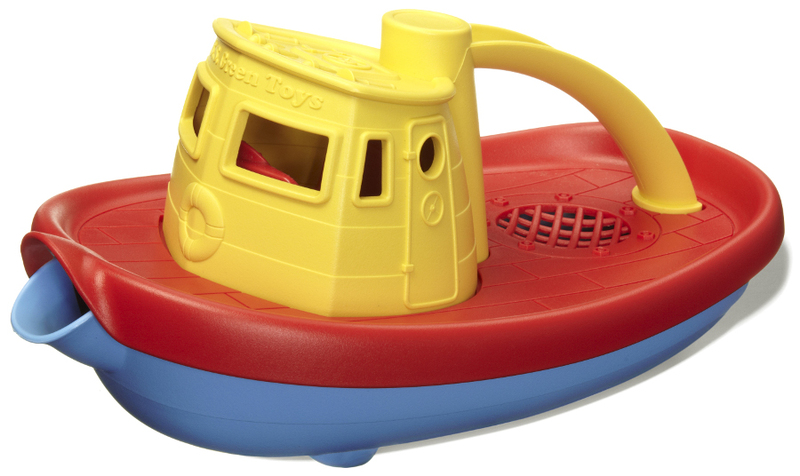 Cruise across the bathtub with this colourful tugboat toy, made entirely from recycled plastic milk containers. 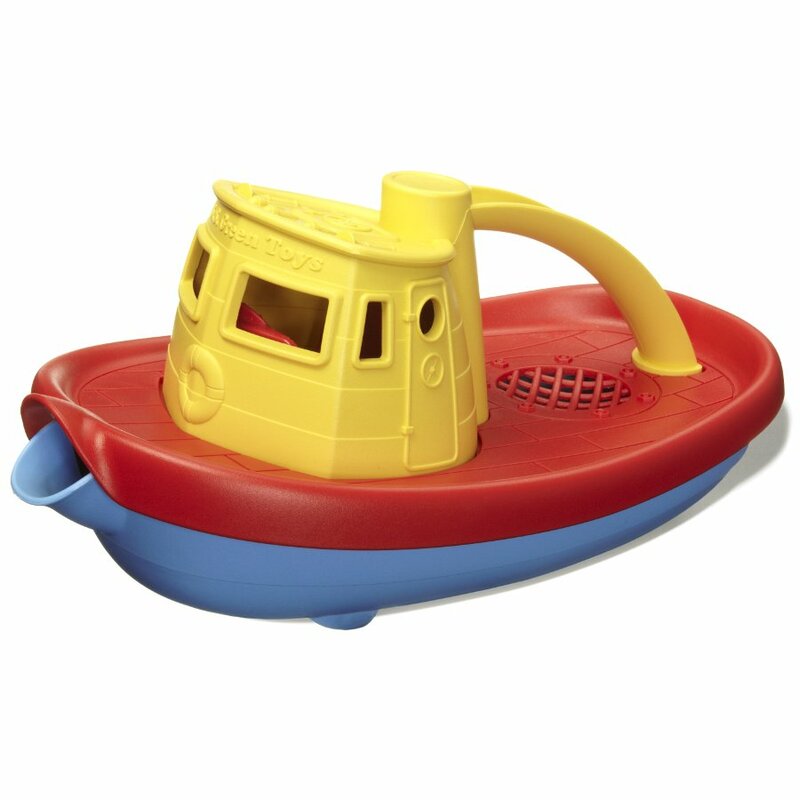 Push the boat under the water, watch as it fills the hull, then pour the water from the spout using the handle. In addition to its eco-friendly design, this toy is free from BPA, PVC and Phthalates, making playtime safer for your child. Recommended 6m+. Dimensions: L: 23cm, W: 11cm, H: 11.2cm. Packaged in 100% recyclable box. 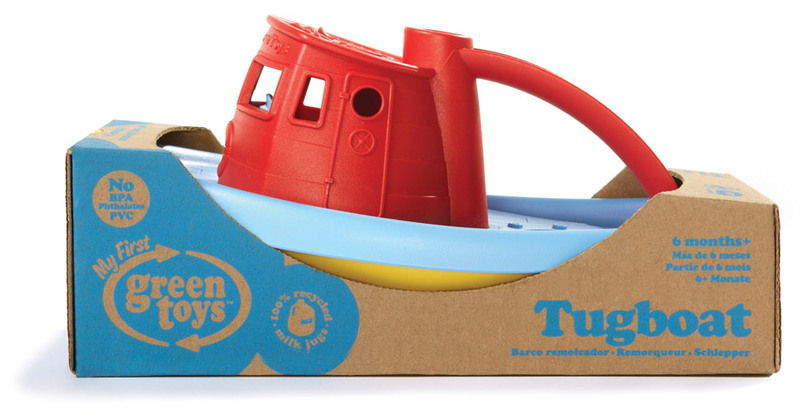 The Green Toys Recycled Tugboat product ethics are indicated below. To learn more about these product ethics and to see related products, follow the links below. Very sturdy toy which my granddaughter of 18 months loves in her bath! This looks gorgeous! It hasn't been used yet because it's a present for my grandson, but I'm sure he'll love it! Children use it in the bath, lots of fun. Really great quality compared to other plastic toys and great to know it's made of recycled plastic. I wish there was a UK company making similar products to reduce air miles and potentially also reduce cost of product. 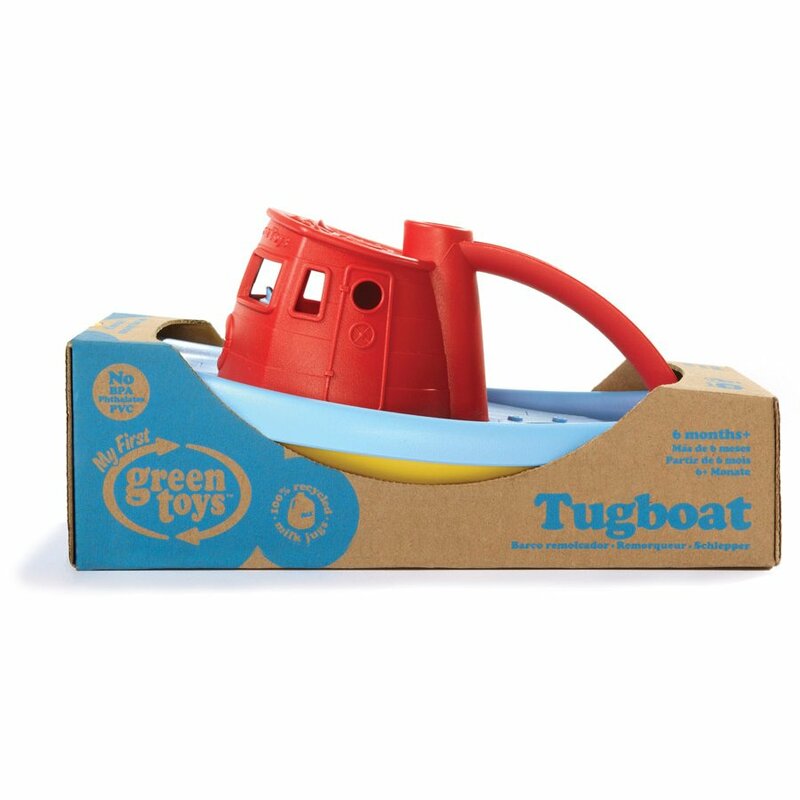 There are currently no questions to display about Green Toys Recycled Tugboat.